I’m a pretty big Disgaea fan, but then most of us are here at DHGF. The original won our 2003 Game of the Year award and Disgaea 2 went on to win our Turn Based RPG of the year award in 2006. However between the three Disgaea titles, their PSP re-releases, and other titles like Phantom Brave, Makai Kingdom, and La Pucelle, there has been a bit of a complaint that Nippon Ichi has been squeezing blood from a stone regarding SRPG’s. To battle that claim we saw the release of the platformer Prinny: Can I Really Be the Hero? in 2009 and now we have the straight up adventure game Disgaea Infinite which is more akin to the point and click titles seen on the PC. It’s been a bad year for Adventure games on the PC, but consoles have had some fun ones like Heavy Rain or Blue Toad Murder Files. Was Nippon Ichi able to make an adventure game work on the PSP or are visual novels a genre better left to Japanese audiences like the poor old Phantasy Star ones I had to import back in college? The following synopsis might sound a bit weird to those who haven’t played a Disgaea game but bear with me. Someone or something tries to assassinate the Overlord of the Netherworld, Laharl. He accuses the Prinnies (souls of the damned that are trapped in the form of purple penguins who always say the word, “dood”) of the plot and thus docks their salary for all eternity. As money is needed to escape the Underworld and move on to a new life/existence, this is the worst fate possible for these wretched souls. One finds a mystical watch that lets its soul travel through time with the ability to possess other bodies in an attempt to change fate. Every time the Prinny fails to prevent the assassination, he has to go back and try to save the day all over again until he finally changes fate. 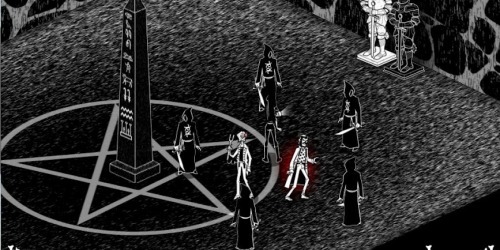 Think of it as Disgaea meets Groundhog Day meets Shadow of Destiny. In the process, Prinny discovers a vast pudding cup and rocket fuel conspiracy, along with the fact that once he prevents the original explosion, there is still more work to do. The story is very amusing and I caught myself laughing at the hellish but comedic hijinx of the Disgaea crew all over again. A few members of the Disgaea 3 cast shows up for a nice chunk of the game, and the two protagonists from Disgaea 2 have cameos, so there is a wonderful amount of fan service here. About the only thing missing are Zetta and Pram and this would be a big “I love you” from Nippon Ichi to its truly diehard fans. I will say that the story isn’t very accessible to people that haven’t played the first Disgaea or watched the anime, so that hurts the game a bit, but for those that have followed these characters for the past seven years, you’re getting a full story but without any of the SRPG grind-fest that some may have grown weary of. 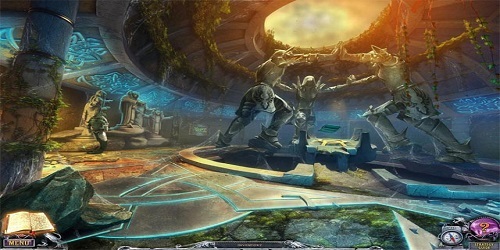 The game consists of two kinds of visuals: Static images for each character that represent their mood whilst talking and animated scenes that look like they are straight out of the SRPG’s. For those not familiar with the latter, it means you are getting fully animated sprites. While the visuals aren’t pushing the envelope of the PSP by any means, the sprites are highly detailed and as story is the true motivation here, we’re able to see characters do things and moves in ways they wouldn’t be able to on a grid based battle system. Even the static images have a degree of animation to them when they switch from one to the other. Nippon Ichi is definitely not a company known for making games with next gen level graphics. Indeed, their titles are often referred to as being a generation or two behind what is currently possibly. As this game is a visual novel, the graphics actually work quite well. You’re not going to be visually impressed by Disgaea Infinite by any means, but you will be impressed by the level of detail and imagination that went into the sprites, so that’s something. 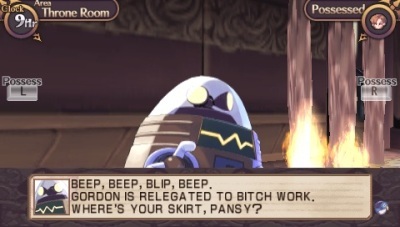 In what is easily my favourite aspect of the game, every line of dialogue in Disgaea Infinite is spoken. What makes this even better is that all the actors who have played these characters have returned so Barbara Goodson returns as Laharl, Michelle Ruff plays Etna, and so on. This is a real treat for Disgaea fans and even more so to see Mao interact with Flonne and crossovers of that nature. That cast does an exceptional job, and as the game is 95% story, the voice acting NEEDED to be top notch to keeps things moving, especially as you’ll have to hear some segments half a dozen times or more. Without quality voice acting that could have made parts of this game a grueling chore instead of repeatedly amusing. Disgaea Infinite also features a fun soundtrack with some tracks I am pretty sure I recognize from other Nippon Ichi titles. 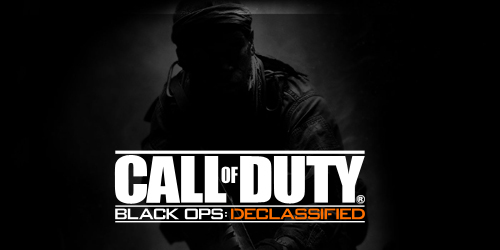 However the music is often put on the backburner due to the constant talking in the game. If you listen for the music though, you’ll definitely hear a score that is almost as good as the assembled vocal cast. Overall, you really couldn’t ask for better here. 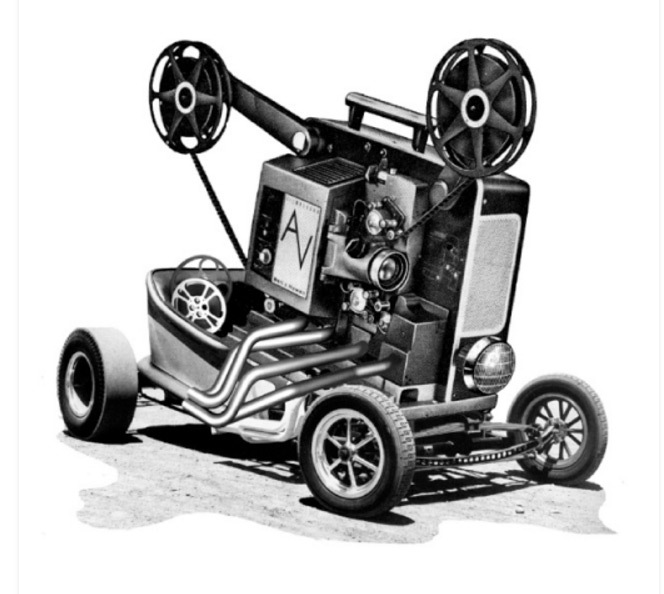 You have all of the characters played by their original actors and actresses and a “best of”Â soundtrack. Both combine to give longtime Disgaea and/or Nippon Ichi fans a true auditory feast. Previous Disgaea games were SRPG’s, meaning that you had battles on a grid based map where characters moved according to agility or speed and leveled up as you would in any other RPG. As this is an adventure game, or more specifically an adventure game from the visual novel sub-genre, things are a lot more passive. In fact there is very little game play at all save for hitting buttons at the right moment in order to change the plot or what scenes you witness. It’s not very complicated but there are controls to also let you quickly play through events, skip events entirely and even rewind time back to your last time checkpoint. You also can skim through your Diary to see clues and events that have unfolded, or a “Data Base”Â which gives you a list of terms, people and locations, complete with amusing commentary. Disgaea Infinite is no more complicated than its point and click style adventure game brethren, it is easily accessible to gamers of all skill levels. Of course, the key is being able to switch host bodies at the right time and make the correct dialogue decisions, which will take trial and error. The controls might be a little too passive for some gamers, but the engine is as solid as any other well made adventure game. Although a decent sized chunk of the game might feel repetitive as you attempt to retrace your steps and change the future for the better, you will discover there is an extensive array of paths to follow. In fact there are over a dozen endings for the game which floored me, especially as most adventure games have only a single ending, or a second one if you are very lucky. The first ending I got actually provided the setup between Disgaea 1 and 2, and shows why a certain character from the first game went to the Netherworld in the second. I rather liked getting that one, although there are a lot of other funny (and weird) ones to collect. 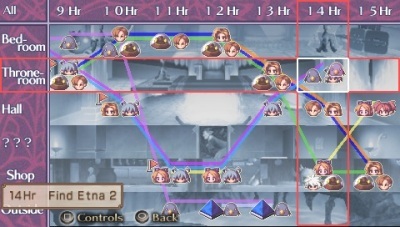 My data base was only 60% full when I achieved my first ending, so that shows you how much more there is to do and see in this game. For any genre, fourteen endings is astounding, but for an adventure game, it’s nigh unheard of and this might provide the most replayability I’ve ever seen in this genre. The game’s progresses solely through the choices you make, if any. Who to posses, when to possess, and what to say when you are given the rare opportunity to controls the how the game unfolds. For some this is a positive as it involves you using your mind and deductive reasoning over your hand-eye coordination or battle strategies. For others this is a negative as it can boil down to extreme amounts of trial and error. It all depends on the type of gamer you are and your patience level. I enjoyed the fact that the game automatically listed things in your diary that you could (or should) try, along with any important plot points you discovered on the many paths you have travelled. Paying close attention to this diary should help gamers who aren’t used to adventure games, or aren’t the type of person who writes things down while gaming ala mapmaking for RPG’s like The Bard’s Tale or Shining in the Darkness. Other gamers with a solid memory or eye for detail will probably eschew the diary to just see how many possibilities they can exhaust on their own. Either way, help is there if you need it, albeit said help does range from cryptic to hitting you over the head with the correct path to take. 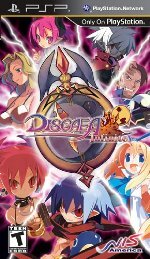 According to the official website for Disgaea Infinite, the game was inspired by a 2008 game named Infinite Loop which has the same premise, only more serious. Infinite Loop, like 99.99% of all visual novels was never released in the US, but if you have ever played the PSX classic Shadow of Destiny (also released this year for the PSP), than you will have played a more active version of one of these novels. In fact, Shadow of Destiny is very similar to Disgaea Infinite in that you change fate at least once, only to discover a new path that you will need to change things more than once. I will say this is the first visual novel I can recall actually playing in English aside from a fan-made translation of Tsukihime. It’s also the first outright comedic visual novel I’ve ever encountered as well along with being a huge departure from the usual Disgaea gaming style; even more so than the Prinny platformer was. So even though the overall theme and style of this game has been done several times, it’s the first real visual novel brought over to North America as well as the first farcical one I can recall. Kudos to Nippon Ichi for taking a big chance here. Let’s hope it pays off for them. Although there is a lot of (plot) backtracking in Disgaea Infinite, each loop through the day’s events can be quite different from the previous day. I actually beat the game in two sittings. The first was just working out the solution to Laharl’s would-be assassination and then the other was trying to get all the endings I could. I actually played the game to the point where the PSP’s battery died on me. I didn’t even pay attention to how long I had been playing – that’s how much the game sucked me in. You have a cast of great characters, an unusual story line, a giant puzzle to solve complete with multiple endings based on your chosen route AND a large dose of comedy, which most gamers are sorely lacking these days. This was just the game I needed after a month and a half break from reviewing video games. This is the only chink in Disgaea Infinite‘s armour. 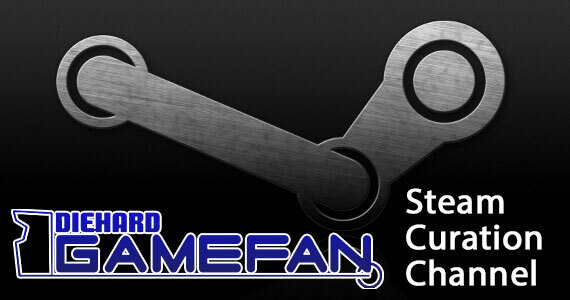 Most adventure game fans in North America these days are casual gamers as well as PC gamers. There really isn’t a lot of cross over between adventure game fans and SRPG fans aside from myself that I’ve encountered (Maybe lil’ Chris Bowen in the 80’s). The problem is that although mainstay adventure game fans MIGHT have enjoyed Disgaea Infinite, the game really isn’t inviting to people other than thought that are already very familiar with the characters. This will leave a lot of point and click fans scratching their head wondering who these characters are, why they are acting this way and most of all, confused as to what decision to take and then why choice X was the right one. These are all questions that can easily be answered by diehard Disgaea fans, but only by them. At the same time, most Disgaea fans are primarily RPG gamers, and SRPG grinders at that. 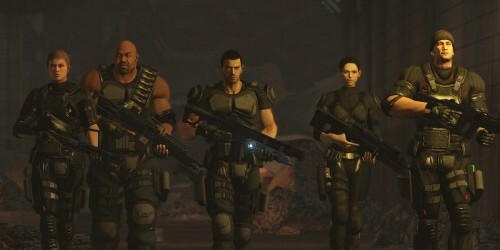 The fast paced nature of the game, along with a more passive gameplay style might alienate the core audience. At least they won’t be put off by the repetition. God knows Disgaea fans are used to that with hundred level dungeons or so. 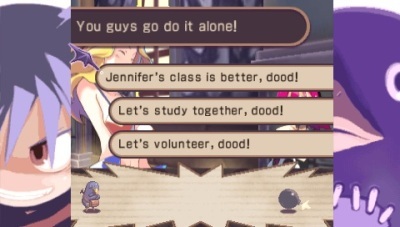 At the end of the day, this game is only going to be enjoyed by people that cross between adventure and RPG gaming while also having a good idea of what the world of Disgaea is about. For those few gamers, this game is a steal at only $19.99. For everyone else, the game isn’t very inviting to people new to Disgaea which is ironic as the gameplay is as casual as it can get aside from hidden object titles. At only $19.99, Disgaea Infinite is an amazing deal and well worth picking up if you’re a fan of the series in the slightest. If you’ve grown weary of grindfests or SRPG’s, now you can enjoy the characters in a purely story driven fashion. If you’ve never touched the series because you can’t stand SRPG’s, but you liked the anime or what you heard about the characters, this is a great way to dip your foot into the Netherworld pond and see if it’s worth trying the older titles. Know that if you do the latter though, you will be a bit confused as to what is going on and way. Regardless, this is a great price for a fun title and I enjoyed my time with Disgaea Infinite as much as I enjoyed my time with Heavy Rain, albeit for wildly different reasons. This is definitely one of the best adventure games released this year, and as a long time point and clicker gamer on my PC, it blows my mind more than a little than Sony’s systems are the place to be for adventure gaming this year. 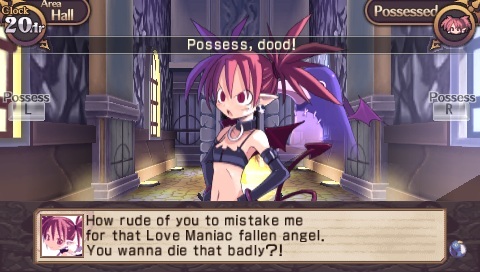 Disgaea Infinite is exactly what I look for in an adventure game. It features a great cast of characters, some excellent voice acting and the controls are simple and fun, allowing the story to take center stage. The only downside with the game is that it’s not very friendly to gamers new to the Disgaea world, which will leave them unsure of what is going on and why. This is a bit of a contradiction considering the gameplay style is extremely casual, but longtime fans of Laharl, Etna and the Prinnies will love this game for what it is. Plus it’s only $19.99 dood!